In context: Fortnite has become a phenomenon. Some have compared it to WoW in that players are becoming addicted and spending way too much time on it. At least one professional hockey team thinks it is a big enough distraction that it has banned its players from playing the battle-royale sensation. 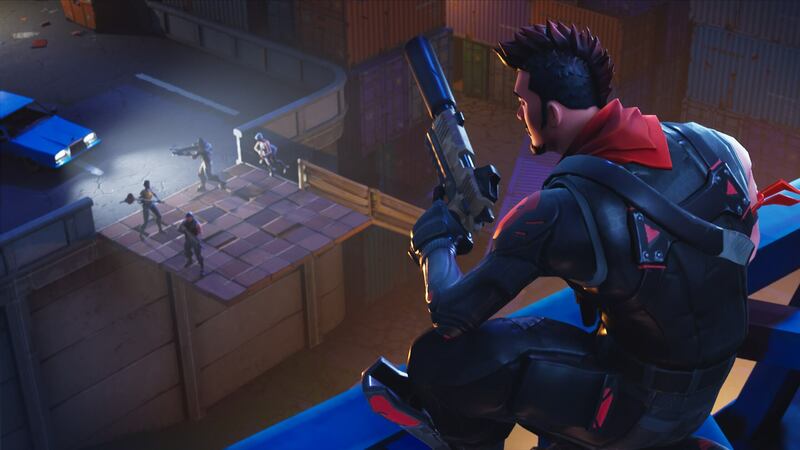 Fortnite has become so popular that it is reportedly leading to addiction, interfering with people's marriages, and affecting professional lives. According to ESPN, management for the Vancouver Canucks have banned their players from playing the game during the upcoming season. The ban comes following the team’s lackluster 2017-18 season with a W/L ratio of 31/40 earning it second to last in the Western Conference. Other players in the league think that Vancouver is just scapegoating the game. The concern is that after staying up late playing the game players are not at their peak during practices and games. It particularly concerning at the major junior level where young up-and-comers are not wholly focused on playing hockey at a professional level. Even some of the top draft picks admit to playing Fortnite probably more than they should. Brady Tkachuk, a winger picked up by Ottawa in the fourth round, acknowledges that he and other young players play Fortnite quite a bit. Fortunately for Tkachuk, Ottawa is not planning a Fortnite ban this season, even though the team had a worse season than the Canucks chalking up a record of 28/43 in the Eastern Conference. However, now that he’s in the pros, Tkachuk better be ready to prove that he belongs there.